Yes another wreath card today. I love this stamp set painted harvest. I think it´s my favorite even though it´s not a Christmas set. I saw a video on YouTube made by Shannon Colón. You can find her video here. I used wild wasabi as the card base. 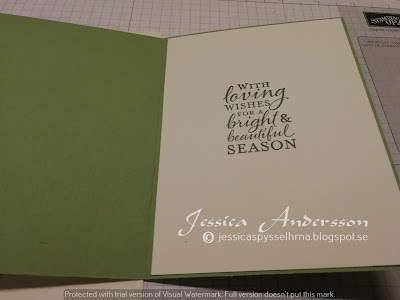 Then a layer with very vanilla that I embossed with the cable knit textured impressions embossing folder. Then I stamped the wreath on very vanilla with wild wasabi, garden green and real red for the berries. Used the stitched circle to cut it out and layered it on a real red circle. 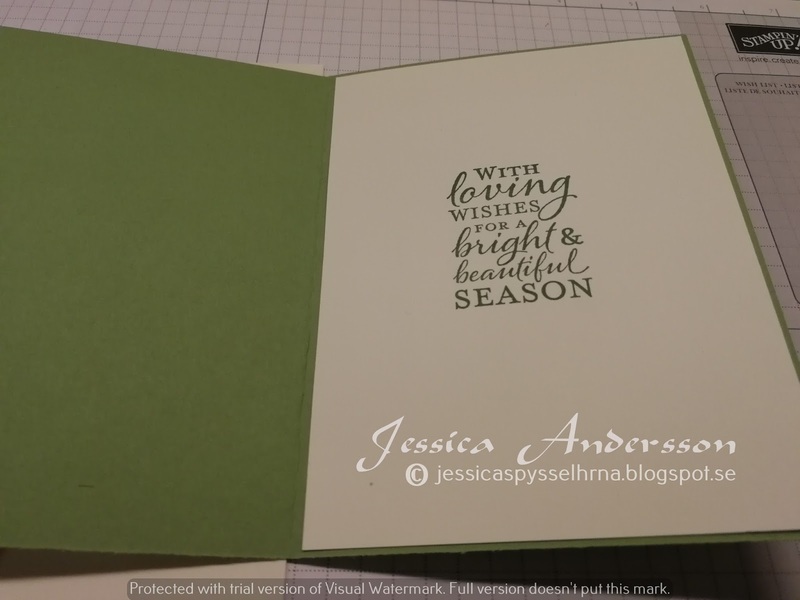 The sentiment is s stamped with garden green and cut it out with the stitched oval then layered on a real red oval. Added som wink of Stella on the wreath. On the inside I used the same stamp set for the sentiment as I did with the sentiment on the outside of the card. It´s called embellished ornaments.